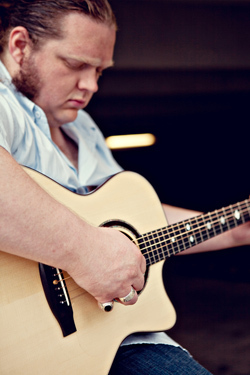 Matt Andersen is a young acoustic blues / folk musician who is already a living legend in his native New Brunswick and has been making himself known internationally as an authentic voice to remember. The Dawson City Music Festival and Klondike Institute of Art and Culture proudly present Canadian Bluesman, Matt Andersen. The heralded guitarist has performed with Randy Bachman, Bo Diddley, Little Feat, America, Loverboy, April Wine, and others; made frequent appearances on Stuart McLean’s CBC treaveling radio show “The Vinyl Café” and has been making a name for himself as “Canada’s greatest guitarist.” In 2010 he became the first Canadian to win Memphis’s famed International Blues Challenge, which led to festival dates in France, Italy, and the US, where he toured with Old Crow Medicine Show and in 2011 was honoured with the Maple Blues Awards for Entertainer of the Year and Acoustic Act of the Year. Matt performs on Wednesday, Oct 3 at the Oddfellows Ballroom. Doors open at 7:30 with show time at 8:00. We recommend coming early for this one! Previous post ← Youth Art Enrichment 2012- Apply today!